Radio shock jock rebounds after controversial remarks and now faces new battle with cancer. April 10: Brian Williams visits with Rutgers University's women's head basketball coach C. Vivian Stringer to discuss the aftermath of Don Imus' offensive remarks. The Don Imus “nappy-headed hos” controversy raises many fascinating issues involving how far a broadcaster should or could go in trying to be “funny” on the air. It also calls into question how a “shock jock” like Imus moves between being outrageous and provocative into engaging in a serious conversation with national leaders and top journalists about the issues of the day, including Iraq. The issue of race is again front and center on the national media stage and finally, the question of how major media organizations like CBS and MSNBC (who rightly called Imus’ comments “racist and abhorrent”) handle such a high-profile controversy. Clearly, what Imus said about the classy and dignified Rutgers University women’s basketball team (five of whom were only seniors in high school last year) was despicable and disgraceful. The “nappy-headed hos” comments were part of a larger Imus riff making some sort of convoluted point about darker-skinned black women from Rutgers who he (and his producers) saw as tougher, less attractive and thug-like playing against lighter-skinned, more attractive and, apparently Imus believed, more “likeable” Tennessee team. The terms “jiggaboos” and “wannabes” were used. That is insane. Imus miscalculated on several levels. Maybe it was because he is so powerful and successful a media figure that has been getting away with his brand of “humor” for so long that he thought this was no big deal. When he called Gwen Ifill (a first-rate journalist who happens to be a black woman) a “cleaning lady,” nothing terrible happened to Imus. At the time he promised to never again engage in racial comedy. So much for promises. Or what about when he referred to WNBC Channel 4 in New York sports anchor Len Berman, who was moonlighting with Imus at WFAN, “Len the Jew?” Berman quit the Imus show, but again, no real fallout for the “I-Man.” In the midst of often smart, engaging interviews with political figures and top journalists, Imus has many times degraded women based on their physical appearance on the air— including Hillary Clinton and some high profile female journalists. 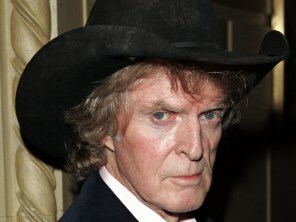 He knows it and they felt it, but again, Imus got away with it. So now, when CBS suspends Imus for two weeks and MSNBC drops his simulcast for those same two weeks, Imus finally takes a hit. But is it enough? Will it satisfy not just the women on the Rutgers University basketball team, but others who aren’t black or female, but who were disgusted by Imus’ comments? Who talks this way? On one level Don Imus is smart and articulate, but also seems so racially dense. Predictably, the “you people” comment was a headline all across the country regardless of Don Imus’ intent or its context. This isn’t about being politically correct; it is about having some degree of sophistication about what you say and how it is likely to be perceived.